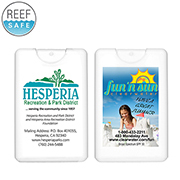 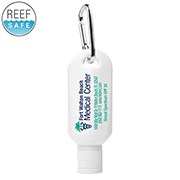 Attendees of outdoor events especially those held at the beach or in the park will welcome branded sunscreens as business gifts or giveaways. 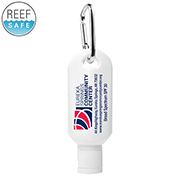 Certainly practical as they offer protection from harmful rays of the sun and with constant use, brand exposure is assured. 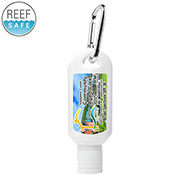 Here at Innovation Line, our collection of customisable sunscreen bottles comes with USA-made sunscreen which has been reformulated to meet FDA requirements. 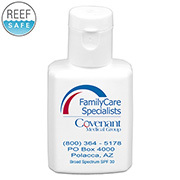 Our sunscreen also offers both broad spectrums UVA and UVB SPF 30 protection. 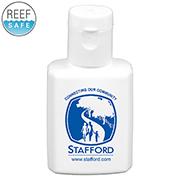 The bottles are made from plastic material and can be customised via 4 color print process. 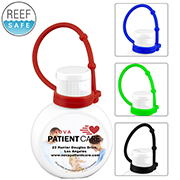 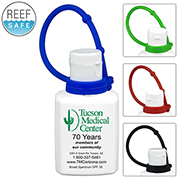 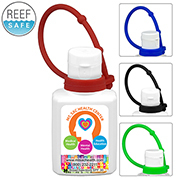 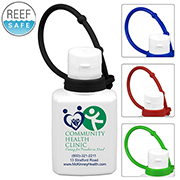 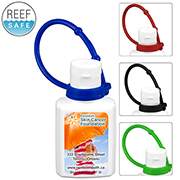 We also have bottles which come with carabiner attachment so they can be hooked conveniently. 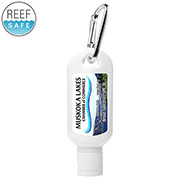 Distributors of promotional merchandise from all over the country have come to rely on Innovation Line for quality products sold at very competitive prices. 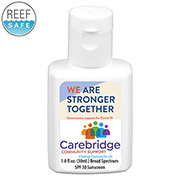 We are also known for our excellent customer service.